The concept of moving house is usually identified with the shipping of household goods from one location to another. The moving process, however, involves many different aspects ranging from psychological factors to organizational issues and practical preparations. And while it is up to you to deal with most of these complex matters as best as you can, I Love Moving Reviews company provides some professional assistance to make things easier for you. There is no doubt that you are going to pack your cherished possessions with utmost care and attention in order to ensure their safety during shipment. Proper packing, however, requires a lot of time and energy, as well as plenty of specialized wrapping and padding materials. So, if you can’t dedicate enough effort to the tedious packing process, don’t have adequate packing supplies, or just prefer not to risk damaging your delicate items, you can have professional packers take care of your belongings. The task will be completed in a safe and speedy manner and the movers will be liable for damage . You will be charged for this extra service based on the time it takes to pack up your household, the type and amount of packing materials used, and the complexity of the job. If you have delicate pieces of art or other valuable articles that don’t fit into standard moving boxes, you can request custom packing services . Your treasured possessions will be contained in custom-built wooden crates or cardboard boxes cut apart and form-fitted around every single item to provide maximum protection. Unpacking services are also available upon your request – the movers will take your items directly to their designated places in your new home, unpack them and dispose of the packing materials for an extra fee. 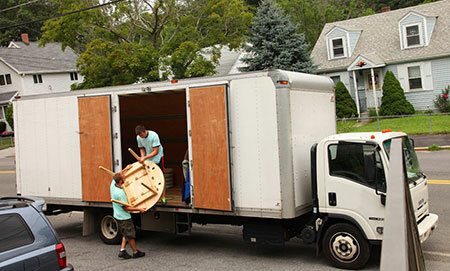 If you are not sure how to disassemble and prepare your large furniture pieces for moving, consider using I Love Moving Reviews help .The movers have the specialized equipment and the required know-how to safely dismantle your furniture, take it out of your home, load it onto the moving truck, secure it properly inside, and deliver it to your new home in perfect condition. Then, you can have the movers put your furniture back together, so that it is immediately ready for use. The costs for disassembling and reassembling your furniture are usually calculated on an hourly basis. Your movers will assess an extra fee for handling extremely heavy and bulky items, such as pianos, safes, pool tables, hot tubs, etc. Have in mind that such articles are not only very difficult to pack and move but they also considerably increase the total weight of your shipment which results in higher moving costs. If you want your movers to disconnect the electrical appliances at your old home and set them up in your new residence, you’ll have to pay an extra appliance servicing fee. In case your large furniture or bulky appliances don’t fit through the doors or along the narrow hallways and steep staircases in your old home or in your new one, the movers will have to set up a rope-and-pulley rigging system to take them in or out of the property through a window. Specialized equipment and great expertise are required to safely perform this accessorial moving service, so it will cost you dearly. 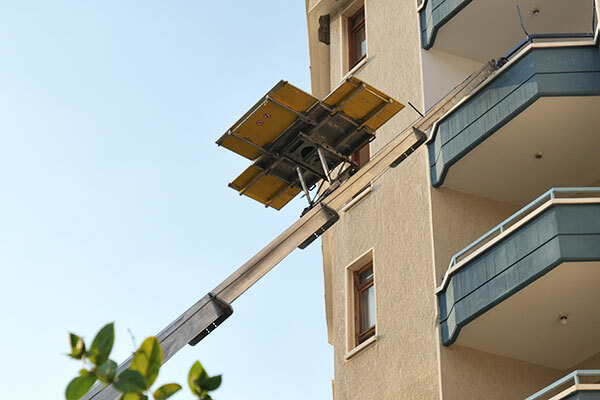 If the movers have to wait for an elevator or if you want them to take your items up or down the stairs of a high residential building, you will have to pay a flight charge for the extra service. The cost is calculated per flight of stairs or based upon the time wasted while waiting for the elevator. If there is no adequate parking place in front of your property, the moving truck may have to stop at a considerable distance from the entrance to your home. In this case, your movers are under no obligation to take your shipment inside. So, if you want them to carry your items for you, you will have to pay an additional long carry fee. If your residence is not accessible to large moving trucks because of physical constraints, your goods will be picked up or delivered with the help of smaller vehicles. Depending on the size of your move and the specifics of the location, several trips may be required to complete the job. Consolidating shipments transported along the same route is an efficient way to save time and money when moving long distance. If you prefer your household goods to be shipped separately, so that you can receive them on a guaranteed delivery day, you will be charged an extra fee for the exclusive use of the moving vehicle. Some of the items you want to ship to your new home may have to be picked up from several different locations Or a part of your belongings may have to be delivered at a place different from your final destination. In such cases, you can take advantage of the split pickup or delivery services your movers offer for an extra fee. In case you can’t receive your shipment on the agreed date and time, the movers will charge you an extra fee for waiting. If your items have to be put into storage for a certain period of time, all the related costs will be at your expense. You will also be charged a re-delivery fee when the moving truck comes to your home for a second time to deliver your shipment. Under certain circumstances your belongings may have to be stored in the carrier’s warehouse while pending further transportation. Regardless of the reason, you will be charged a storage fee. The longer your belongings are kept in storage in transit, the higher the additional charge will be, of course. I Love Moving Reviews is an international moving company gives options of wide range of Shipping Quotes to fulfill any of your transportation needs. What Are The Best Things About Moving House? Curious to learn the best things about moving house? I Love Moving Reviews offers you the top 5 reasons why moving is really good for you. Here we go. Living under one roof for years is a reason enough to have amassed tons of stuff you won’t ever use again, or maybe stuff you have long forgotten about. Either way, the accumulation of material things that have already ceased to serve you is not ideal when it comes to space optimization. Little by little, your effective living space may have given way to clutter. One of the good things about moving house is the unique chance to create more space in your new home: inventory your current home, sort out all of your possessions, and then get rid of anything you haven’t used in over a year and do not intend to do so in the near future. Moving house is all about change – change that can come in many forms and on multiple levels. One of the things that will be different, of course, will be the physical location of your new home – a new address that may be in the same city or a nearby city, a place in a different state within the country, and even a new place in another country. But regardless of whether you’re moving locally, cross country, or internationally, the new address will present to you something you haven’t experienced until that moment in time. When speaking of positive things about moving house, it’s only fair to mention the excitement of getting to know an unknown place for the first time. The little discoveries you will be making every single day will enhance the overall sensation of living a brand new adventure. Moving to a new city will give that unique new-city thrill that you may have forgotten after having spent years and years in one and the same place. Exploring an unknown place can be really nice but it can rarely match the pure excitement of meeting and interacting with delightful individuals you never knew existed until that very moment. Some of the new people you meet will become your friends in time – the priceless gift nobody can possibly turn down. Without a doubt, forming new friendships is definitely one of the best things about moving house. The first thing you can do is to try to get your neighbors a bit better – who knows, your next best friend might be hiding among them. Consider joining groups, clubs or organizations which are dedicated to the things you love to do (sports, arts, music, dancing, etc.) because that’s where you will meet some great people who share similar interests to yours. Whatever the reason for your move, the upcoming and possibly anticipated change in your life will give you brand new opportunities to learn from the mistakes you’ve made so far, and to leave any bad memories behind. In other words, one of the greatest things about moving house is the fresh start you’re given – the one and only chance to prove to yourself you can make it work this time around. It’s important to note that the fresh start in your destination city will indeed offer new adventures for you, but you should definitely be prepared for challenges of a different nature too. Every new beginning is tough and it’s time that you will need the most to actually settle in and feel the strange place like home. Once you find yourself in your new house or apartment, surrounded by piles of still unopened cardboard boxes, know that the only right direction is forward. Still, don’t forget to keep in touch with your old friends to ease the transition and make the adaptation period as smooth as possible. All of the great things about moving mentioned above are important, but it’s the unique chance for reflection that could prove to be the most important one. Moving away from your comfort zone, away from family and friends is the ideal time to re-assess the things that really matter in your life. The physical relocation to another place tens, hundreds, or thousands of miles away will help you look at your life from a different angle. Make a detailed list of all the things you want to change after the move, including all the goals you want to accomplish, and concentrate your time and efforts on making them happen. Take advantage of the altered perspective you get from moving house by I Love Moving Reviews to fine-tune your life in order to bring more authentic happiness into it. When you are moving abroad there is so much you need to consider. From packing to cancelling your subscriptions, there is simply too much to do. This is when you are looking online for moving tips, asking friends and family for advice and looking for ways to streamline your overseas shifting. Luckily for you there is I Love Moving Reviews Company who can readily help you when it comes to moving aboard. So when it comes to moving abroad there some things that you really need to consider. Here’s a brief list of tips that you can keep in when you are about to embark on overseas shifting. Nothing helps you better but a list of things and stuff you need to take care of. From all your items that you will be taking with you to the utilities, subscriptions and other stuff you need to cancel. A list is your go to source when you can’t think of something that you may have forgotten. When it comes to overseas shifting, we believe that you should discard what you need. With websites you can now easily sell stuff online. From unwanted furniture to electronics, there is so much that you can easily giveaway or sell online. Professional packers movers will be taking care of your stuff but there are some things that you need to do yourself. The foremost of these things are your subscriptions and utilities. Cancel out your magazines and newspapers along with your monthly utilities like electricity and gas. Okay this may seem a shameless plug but it’s true. Overseas shifting isn’t a simple thing. You need someone to help you out. Calling a professional packers Movers Company can help do everything for your home shifting process without any hiccup. This will pack your stuff so that it doesn’t get bad when it’s getting shifted to another country. There are numerous other tips that you can adhere to. But at the end of the day it comes down to making proper plans. Having a good packer mover company is awesome as it allows you to free your mind from packing your stuff and focus on other pending tasks that require your attention. If you are looking for a company to help you out, Call I Love Moving Reviews Company immediately. Moving can be an exceptionally stressful experience, regardless of the possibility that you are excited about your new location. It's constantly difficult to pack up every all your belonging, stack them, drive to your goal, unpack, unload, and settle into another place. Here is a couple of tips shared by I love Moving Reviews, a leading moving company of US, that may facilitate a little of uneasiness caused by moving. 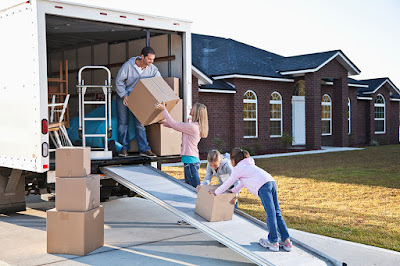 Whether you are moving by yourself or contracting a moving organization, get ready for the move and packing early is awesome approaches to maintaining a strategic distance from the worry of trying to complete everything at last. Pack up out of season clothing, toys, gear, essentially any household items that you won't require until after you have located. Additionally, plan with your utility companies to stop the services to the home you are leaving, and start services at the one you are moving to. 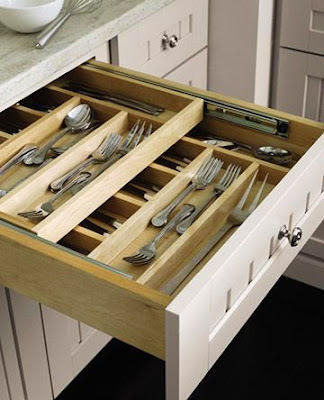 In the event that you choose to utilize a moving organization make sure to plan that well ahead of time. Being prepared for your turn will make the moving day much simpler on you. Mark your boxes! Sounds so simple, yet many individuals that skip this step, get extremely puzzled when they are unloading and can't discover things they require. You should pack things from a similar room, and name the crates accordingly. Pack savvy. Ensure boxes are sufficiently solid to carry the things packed inside (new boxes work best). Utilize little boxes for moving books, as they can get heavy rapidly. Pack imperative documents separately; it's a dreadful feeling after moving day to rush around attempting to discover insurance records for a medical problem or your passport for an upcoming business trip. According to I love Moving Reviews, If you have children, make sure to think about their emotions. They may have a troublesome time with the move, so rather than utilize this opportunity to toss out some of their most loved belongings, pack them up and bring them with you. You can simply work together and dispose of things later. According to I love Moving Reviews, this is an extraordinary alternative to facilitate the stress of moving. You can hire somebody to finish essentially all aspects of the move from packing to unloading, or you can hire out parts of the move. You should figure on the additional cost, yet it can be justified regardless of the cash to have your move professionally done. The moving procedure cause a lot of stress, however taking after these straightforward tips can make your move go a great deal more easily. Before deciding on the right moving service to meet your needs and fit into your moving budget, it's important to quickly review the moving company options available to you during relocation. 1. Full-service: Full-service movers are all-inclusive and will handle your move from start to finish. This means that the movers will pack boxes and furniture into your truck, drive it to your new home and unload your belongings for you. The advantage to this moving service is that you will be working with licensed professionals who will insure your belongings in transit. Though keep in mind that you will pay more for this service than any other moving option. How do you know if full-service moving is right for you? If you want to minimise time and stress during relocation and can afford the higher price tag, this option is for you. 2. Partial full-service: This service will give you more control in your relocation, but you will still have the benefit of working with a professional relocation service. You will need to handle the packing and contribute to the loading of your belongings into the moving truck. The moving service will drive the truck for you to your new home. This option is cheaper than a full-service move, but you do have to be prepared to do some grunt work in packing and loading your belongings. If you're moving within your city or close by in your state, you can save money compared to if you were booking a full-service move and still receive some help from movers on your moving day. 3. DIY: Do-it-yourself moving, is quickly becoming a popular option in Australia. If you want to save money as your primary goal when relocating, this is the best choice for you. Still keep in mind that you will be responsible for your move from start to finish without the help of a professional moving company. You will will need to pack, load, drive the rental truck and unload your belongings yourself. With these three basic moving options in mind, how do you know which service is right for you? From a budget perspective, the basic moving service that you can't do without is probably do-it-yourself moving. This is the cheapest and most straightforward choice that will allow you to save a serious amount of money compared to full-service moving. From there, you can upgrade to a more expensive service based on your moving needs. For example, if you're moving from coast-to-coast, it's wise to invest in a full-service move to ensure that all of your belongings make it safely to your new home. Are you planning for an upcoming move across town or across the country? 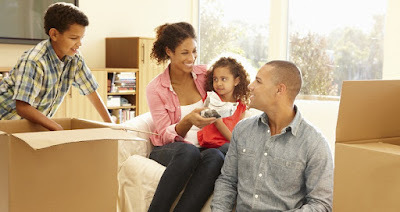 If so, check out these 12 tips shared by I Love Moving Reviews to get you and your family packing and moving like a pro! My family has moved five times in the last 8 years, and so today I’m sharing some of my favorite tips with you. 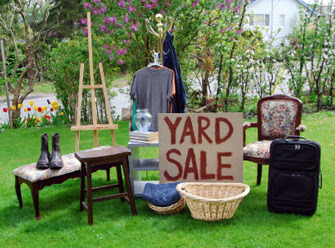 TIP #1: Have a yard sale or garage sale and get rid of unused or unwanted items. This is my favorite way to purge items that I no longer need. And at the end, I donate the things that don’t sell. The less items you have to move, the easier and less expensive the move will be! I have to keep telling myself this as I tend to hold onto my kids’ stuff. Tip #2: Assign a different color duct tape to each room so the boxes are easier to identify. Throughout this last move, I really focused on being more organized – the colored duct tape can be a great timesaver during the unloading process as you can quickly identify into which room each box should be placed. As an example, I filled this bin with trash bags, box cutters, scissors, disinfectant wipes, paper towels, toilet paper, paper plates, paper cups, disposable silverware, hand soap and dish soap. I also fit my Keurig and K cups in here for coffee the first morning . I made sure to place this bin in in my car so there was no chance of it getting lost amongst the boxes. Tip #6: Pack spices in a large slow cooker or pot to save space. This tip can really be applied towards any large item like baskets, trash cans, etc. Fill up their empty space with smaller items. Tip #8: If you already have items organized in bins like these toys, just use plastic wrap to secure them before packing. Then you don’t have to reorganize when you unpack. Tip #9: Tape off all items that can spill like shampoo, cleaners, cooking oils, etc. Tip #10: Use a trash bag to quickly pack hanging clothing. I used this method to pack my kid’s clothes and they were a breeze to unpack. Tip #11: Get to know stretch wrap – it is by far one of my favorite packing tools! Stretch Wrap is a giant plastic wrap that allows you to group things together like garden tools, or a stack of smaller boxes. Of course, you can also use it to wrap blankets over your furniture. 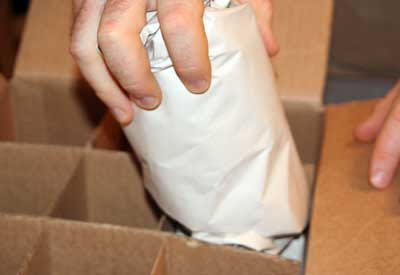 Tip #12: Buy and re-sell boxes and packing material on Craigslist. There are many places to buy new boxes like U-Haul, and Home Depot. Before you purchase new boxes, I encourage you to try collecting as many boxes as you can by asking friends to save boxes and asking stores if they have excess boxes that they need to dispose of. Then try looking on websites like Craigslist for free or inexpensive moving boxes and material. Don’t forget to break down and resell boxes and packing materials after your move. I Love Moving Reviews provides all your overseas moving services so your international relocation is smooth and completely stress-free! We arrange complete door-to-door services—beginning with your home in the United States and ending with your residence anywhere in the world! Each move is unique with different needs. Our international moving specialists will expedite your move, provide advice, and help you with every step along the way. Any budget or time constraints? Our professionals will provide a recommended solution for your concerns. Air Freight: With air freight transport, your goods will be delivered more quickly, for a higher premium. Use this method if you have time constraints for your move, or simply to expedite the delivery of your most essential items. Ocean Freight: Ocean freight shipments have a longer transit time, but your goods will be delivered safely for a more affordable price. This method is usually used for your larger shipment of household goods and less essentials items. International Sea & Air Shipping offers lift van, exclusive container and shared container service, depending on your shipment’s size. Container Service: We will provide the optimal container for your goods with an in-home survey to assess volume and cubic feet. Whether you require a 20-foot or 40-foot container for your household effects, we will deliver it to your home, load it for you efficiently, and properly seal it for shipping! Packing & Unpacking Services: Your goods will be traveling a long way—proper wrapping and packing is a must to prevent damage. 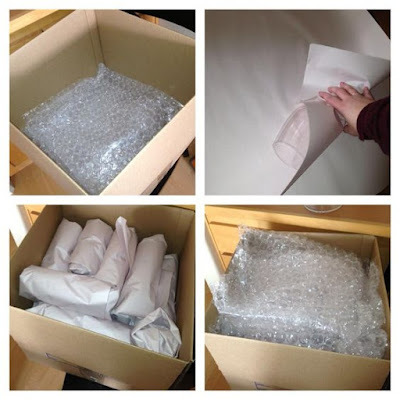 We only use the highest-quality materials to wrap your items, and secure them in boxes and cartons. Specialty items and valuables like antiques and artwork are measured and custom crated for optimal protection! View our International Move Slide Show to watch how we pack and crate your home goods and personal effects for your move overseas. Export Documentation: Paperwork for an international move can be tricky and overwhelming. Let our international moving specialists help you organize the documents required to move overseas and clear your goods through customs. 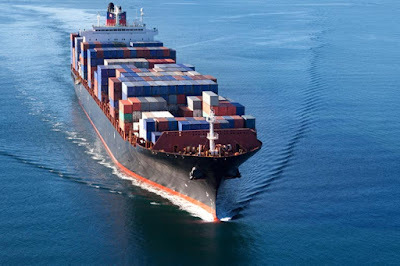 Marine Insurance: Protecting your goods is imperative! Our All Risk Marine Insurance provides door-to-door coverage for your belongings, so they will be protected from the moment they leave your home until they arrive at your new one! Storage Services: Do you require temporary storage for any of your goods during your move? Our state-of-the-art facilities will keep your belongings secure until you are ready for them. We offer climate-controlled units, no administration fees, and reasonable rates. Special Moves such as Art, Antiques, Boats, Cars & Pianos.Have a vehicle or specialty item you need transported? No problem! International Sea & Air Shipping will expertly pack and crate your delicate art and antiques, carefully wrap and transport your piano, and safely ship your car or boat for your overseas move. Overseas household goods shipping is based on cubic feet. Moving personal effects overseas is based on weight, size and destination. Your costs will be determined by these factors, as well as the additional services you require. If you’re shipping home goods that exceed the size of a studio apartment, we highly recommend a home survey for your most accurate estimate. Otherwise, simply fill out our online moving estimate form and we will contact you with a quote!